The majority of Seminole County residents prepared for work this morning and relished in the fact that Florida has finally accepted the change of seasons. While we look forward to the a change in temperature, it is human nature to be averse to a lifestyle change. It has taken the State years to get its residents on board with the vision of a high speed railroad. Alas, The Sun Rail is underway and many have remarked on the effects the stops will have on each town. While we discuss the niceties of taking the train to a Magic Game or how the SunRail will bring life to an otherwise sleepy town, we fail to acknowledge everything it entails. These trains need to be worked by someone. The various stops need crews to ensure its safety. Who is ensuring the safety of these crewmembers? While most Seminole County Residents were waking, at about 6:40 this morning, SunRail employee went missing amidst an unexpected train wreck in Sanford. During construction of the new rail station near State Road 46 and Airport Blvd, in Sanford, one of the cars, carrying gravel precisely for the construction of the SunRail, derailed. The derailment pushed ten cars backward into the rail yard and caused four of the cars to overturn. Now, Christopher Putfark, the operation spotter, was found dead amidst the gravel and cars. It is just shocking such a travesty should happen just miles from our office. Officials are investigating the cause of the incident. Still, who is responsible? What will his family do? Will the SunRail pay for their loss? Who can even name such a price? Shockingly, these employees do not have workers compensation. The Federal Employers Liability Act, known as FELA, was founded precisely for this. It is meant to assist injured railroad employees. Still, railroads are businesses. A profit needs to be made and this would constitute a loss. An astounding number of cases rejecting the hapless “election of remedies” defense are still seen today from railroads in Federal Rail Safety Act cases. FELA is the only assistance for railroad employees injured or killed on the job. It allows a worker to file a lawsuit against his or her employer for injuries caused by the employer’s failure to provide a safe place to work. Particularly, the employer is liable for the injuries or death of an employee which result from the employer’s negligence. This is not common knowledge. Most people are not well versed in such legalities. That is why it is so important to seek counsel. Sadly, like in the case of this morning’s Sanford train wreck, the railroad company is going to find a way to walk away from this. Their attorneys will find a way to say they are not responsible; that the employee was careless. It is appalling. Good people work hard in hope of reward. We put full faith in our employers to take responsibility; but that is not the case. In fact, the opposite is true: employers pay insurance and attorneys to make these claims go away. That is why it is so important that if you suffered an injury while working for a railroad, you notify your employer and file an injury report. No matter how small you think it is. Never think twice about getting the medical attention you need. More importantly, CONSULT AN ATTORNEY. 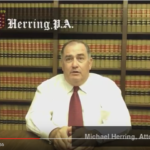 Michael S. Herring and Scott Herring are second and third generation Sanford attorneys who care about the community. If need be, they would zealously represent you against a Railroad company. 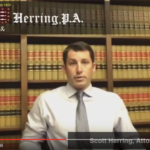 It is important to keep in mind that the minute an injury occurs, they begin to do everything in their power to limit the compensation you are entitled to.